An elegant two colour 18ct gold court ring with matt and polished finish. Perfect for the sophisticated modern women. A stylish wedding ring for him. 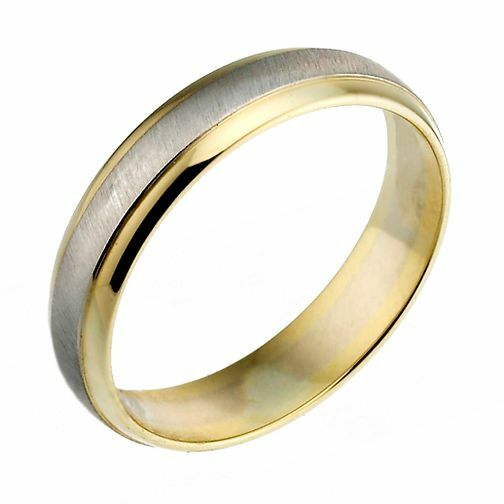 18ct gold two colour 4mm matt and polished court ring is rated 5.0 out of 5 by 1. Rated 5 out of 5 by Anonymous from Just what we wanted Getting married next year and wanted something to match with the brushed centre. Lovely ring delivered on time. Very pleased.